This skimmer is running in my 20G Aquamedic Blenny. 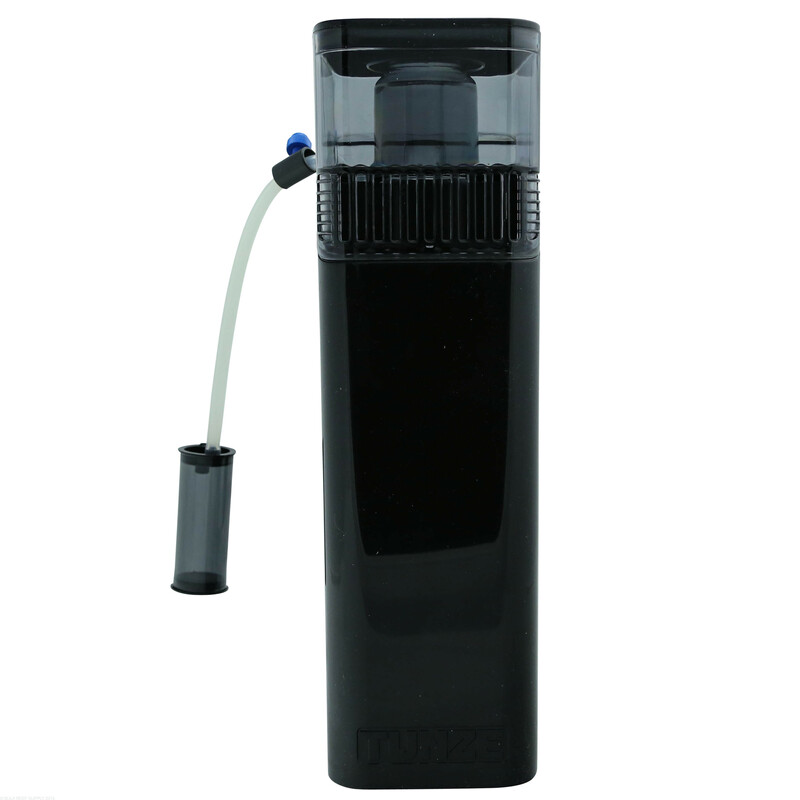 It works good if all conditions are perfect, such as level in the water, and no suction underneath the skimmer. 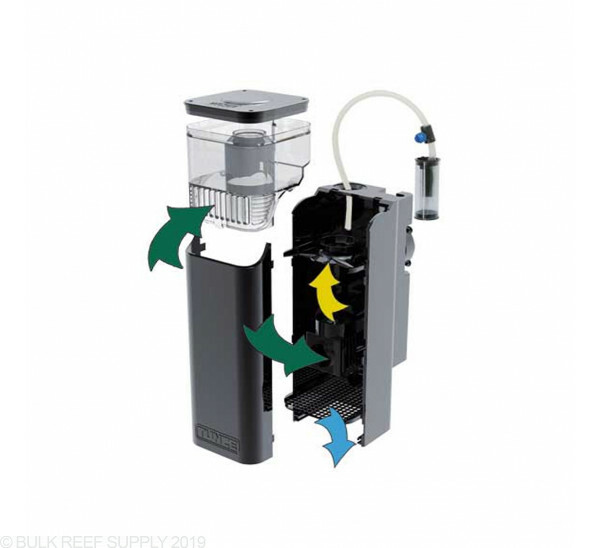 In nano reefs without a sump like mine, the return pump will pull seriously on the output of the skimmer this can cause microbubbles in the water. Additionally the skimmer will not give enough foam a lot of times, this is because the inside air tubing (on the motor) is left too long in production. This creates a kink in the air line which limits airflow and thus less foam. Keep those two things in mind and this skimmer will work perfectly fine. I had good hopes for this skimmer. Been using it for almost a year now, and I have to say - its horribly annoying to clean. The assembly is not intuitive and it always puzzles me on how to put together. The air hose slips off the pump really easily. I wish I would have picked a simpler style skimmer. 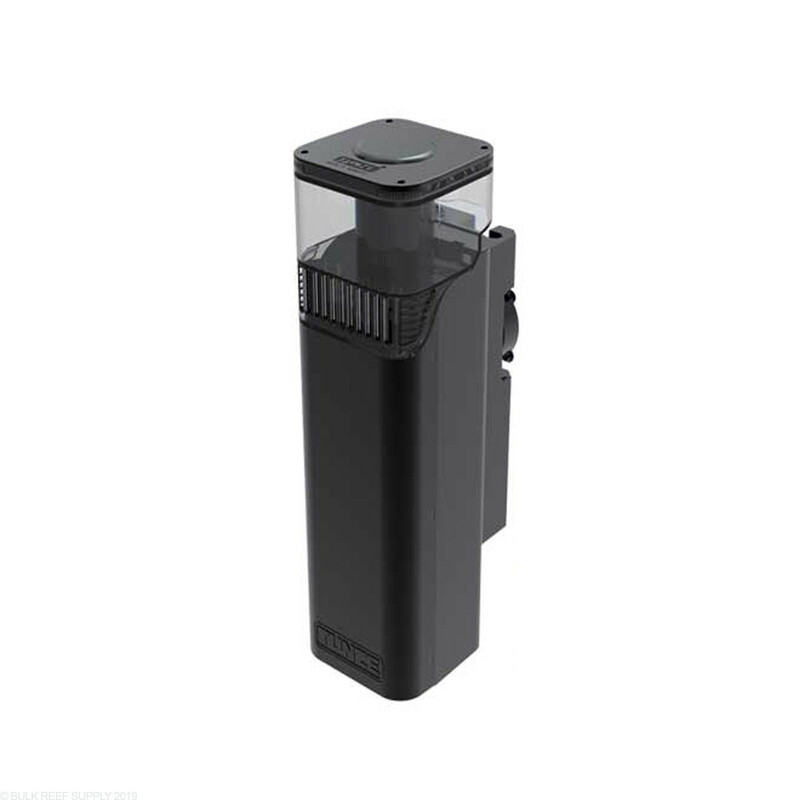 I've got this in my 30 gallon JBJ Rimless, and once you get it tuned in, it's a great skimmer. The magnets are a bit weak, but they still hold in place. Have yet to take it apart for cleaning, so I'm hoping it's not as bad as the others say. Still, probably one of the best nano skimmers out there. Look for another skimmer unless you're a tunze fanboy or love fidgeting with your tank components. You will have to unplug it regularly (daily) to prevent clogging. If you ask for advice, you get vague answers like: raise or lower it, move the intake away from the back of the aquarium. Whatever...I've had this skimmer for a couple of years and can't wait to replace it. Way overpriced, too. Overall this skimmer does a good job on my 20 gallon tank. It is very quiet, and collects a good amount of wet skimmate. On the negative side: It produces a lot of micro-bubbles. They come from the seams between the front plate and the body, and there doesn't seem to be anyway of stopping it. Also, the front plate can be difficult to remove for cleaning. You have to push in hard on the plastic tabs holding the front plate to the body, and every time I've done this I worry about breaking it. So far so good. But I have managed to cut myself multiple times as the front plate suddenly flies loose. This is the first Tunze product that I've been really disappointed in. I'm surprised more people aren't talking about this issue in the reviews here. A simple Google search will show the issues with this skimmer. It is an absolute microbubble machine. The height adjustment of this skimmer is really finicky, and unless you have a quality ATO, pass on this skimmer. I checked that my pump and skimmer plate were installed correctly. That didn't work. I placed a foam insert on the bottom. That didn't work either. And unless there are surfactants in my water column that I don't know about, that shouldn't be the problem either. Given, I understand that these skimmers have a break in period, but at what cost when I can't even see what's in my tank due to the sheer amount of microbubbles. Furthermore, I've owned a plethora of skimmers in the past. A solitary break in period for this skimmer will NOT be enough to minimize the amount of microbubbles this thing produces. I'm not a believer that microbubbles cause any issues for fish or coral, however, when this skimmer created a large amount of them in my tank, two of my fish started to flash wildly against the sand bottom. This baffled me as it was the first time I've witnessed that. On a positive note, this skimmer seems to be made of decent quality materials, sans the extension pieces for the magnets. Those are very, VERY poorly made. The skimmer is also extremely quiet. You also won't get a nice dry skim out of this thing, but it did pull out a decent amount of gunk through a wet skim. Perhaps I got a bunk product, and you might have better luck with this skimmer than I did. I do believe that Tunze makes excellent products. Just not this one. Although I do have a couple of complaints this skimmer still deserves 5 stars. 1: That air tube fell off during shipping but the excellent usa customer service handled it spot on. 2: collection cup is on the small side but the overall footprint is so small I wasn't expecting anything more. 3: that air control valve is just a simple screw that pinches the air tube when screwed in clockwise, simple and effective but I feel as if it will wear the integrity of the tube over time. Didn't require more than a day of break in time and this thing is producing some nasty (good) skimmate. I would buy this skimmer 10 times if I had to. Bought this for a 40 gallon tank that didn't have a skimmer or an overflow. As a result, there was a surface slick of waste that was preventing light from penetrating to the bottom of the tank. After installing this skimmer, the surface slick was gone in about a week (skimmer took about three days to settle down) and the water is generally much clearer. Very happy with my purchase, great value for money. very silent, energy efficient, yet powerful and easy to clean. 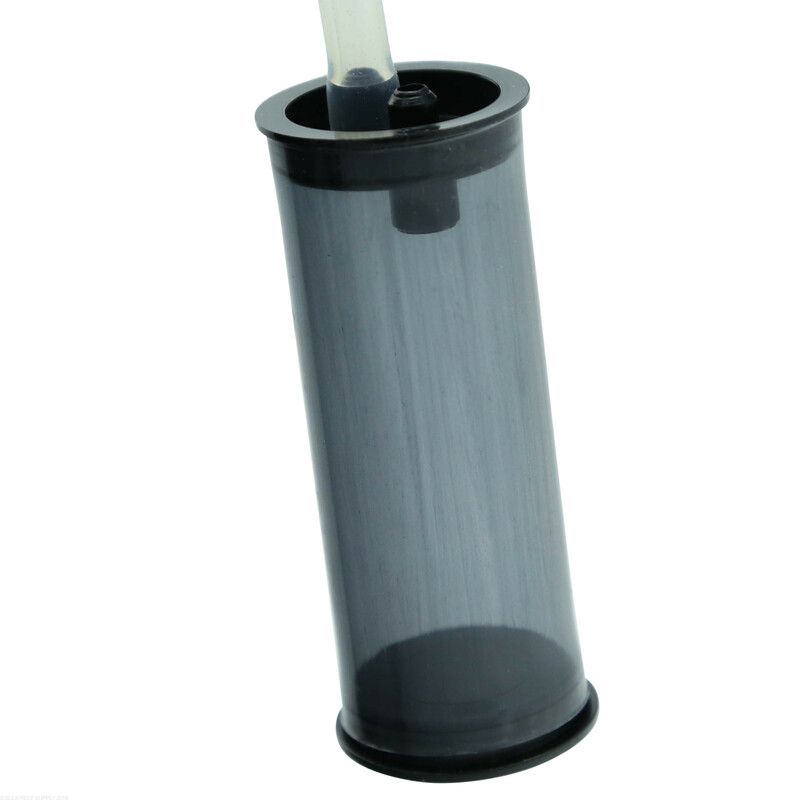 Will make this my go to skimmer for all tanks less than 50 gallons, especially if the tank doesn't have an overflow. I needed a protein skimmer that did a good job, wasn't too expensive, and was quiet due to the fact my tank is in my room. I was not disappointed. 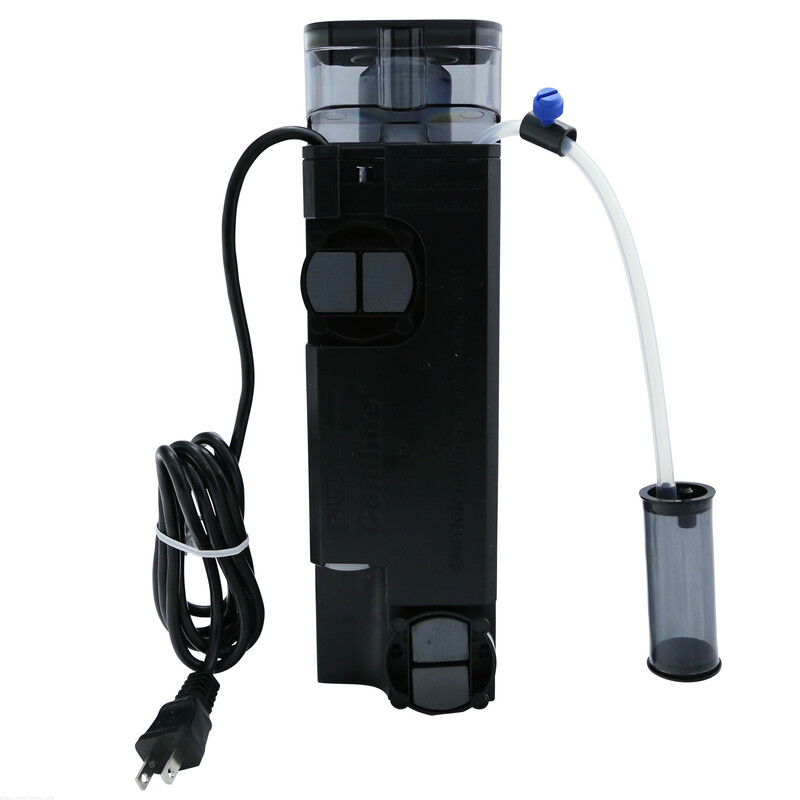 I have been using this skimmer on my IM Nuvo 38. I switched from the IM Aqua Gadget skimmer I had on this tank. The Aqua Gadget skimmer required constant adjustments. This skimmer is working great, hasn't needed any adjustments after the initial setup and is quiet. I have a 58 gallon Oceanic tank which is basically a tall 40 gallon footprint. Because of this size restriction I initially was running a BH1000 Reef Octopus hang on skimmer that just killed the aesthetic of the display portion of the tank, even if it was working great, it had to go. With the small size of the Tunze, I was able to put this in my sump which is otherwise devoid of space for a traditional skimmer. Although I am at the very top if not exceeding the size rating of this skimmer, I am running a relatively low nutrient system, but not ULNS by any means, with 6 fish and full CUC that is fed well daily. This skimmer is doing a great job all around. It took only about 2 days to break in fully, 3 days to tune, and pulls great skimmate consistently. The footprint compared to performance is amazing. The only minor complaints are in the reassembly after teardown and how short the breather line is. I wish it was set up for another 3-5 inches to place in comfortably out of my sump chamber. I could extend it, however they recommend against it, and I haven't had time to tinker yet. what would you guys recommend buying? If it is between these two skimmers my preference is for the Octopus. 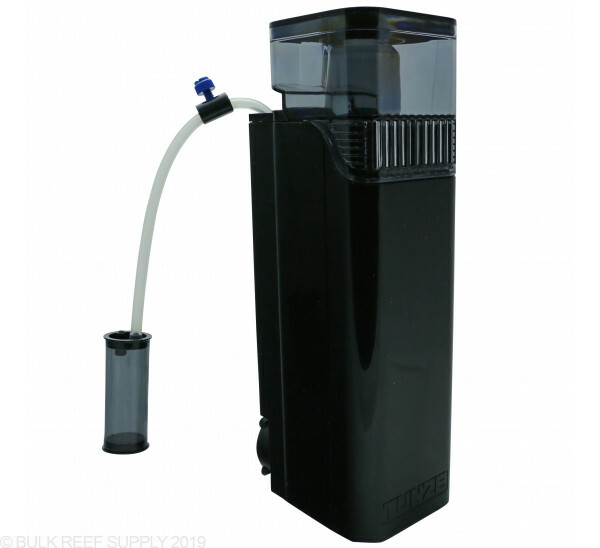 I really like the Tunze skimmer it just happens that the Octopus is rated for a much larger tank and when it comes to skimmers, I would always get the biggest one that fits in your budget and space constraints. Will this fit on my Coralife Biocube 14? 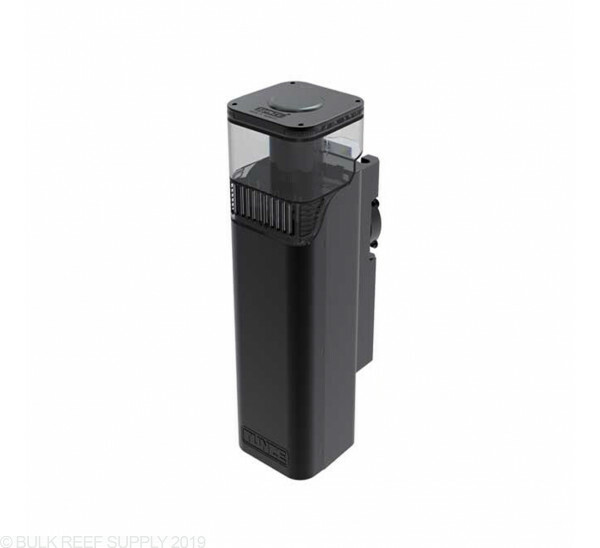 Would this skimmer be sufficient with the Fluval M60 AIO aquarium? This will be a great fit as far as performance of a system of that size! You will want to confirm that the skimmer footprint will match the tank. Will the 9004 fit in my IM Fusion 40 gal. The 9004 will just fit in the overflow section however this will restrict the overflow compartment as well has having height issues. While it may work we recommend the IM midsize ghost skimmer as an alternative which is designed for the tank. Feel free to let us know if you have any further questions! My skimmer was doing well for about 8 months and then started acting very funny after a water change during which te skimmer was temporarily turned off. The problem is that micro bubbles are pouring our of the bottom and the collection cup fills with water almost immediately. Adjusting the air hasn't yielded good results. Any suggestions? Some quick fixes may include changing the height of the skimmer in the water. Making sure no other changes have occurred as well such as different bio-load or other adjustments to the skimmer cup itself. Feel free to let us know if you have any further questions! Would this fit in the skimmer column of a IM fusion 30L? The only way that it would fit is if you removed one of the filter socks from the overflow and added the skimmer in the overflow section. 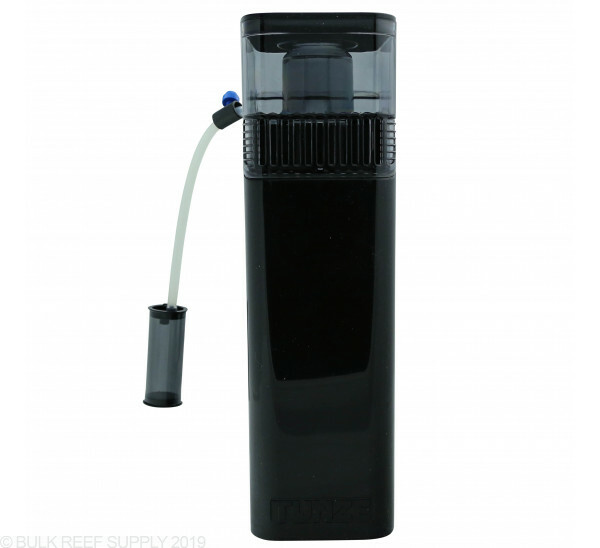 Would this fit in a nuvo 30L? 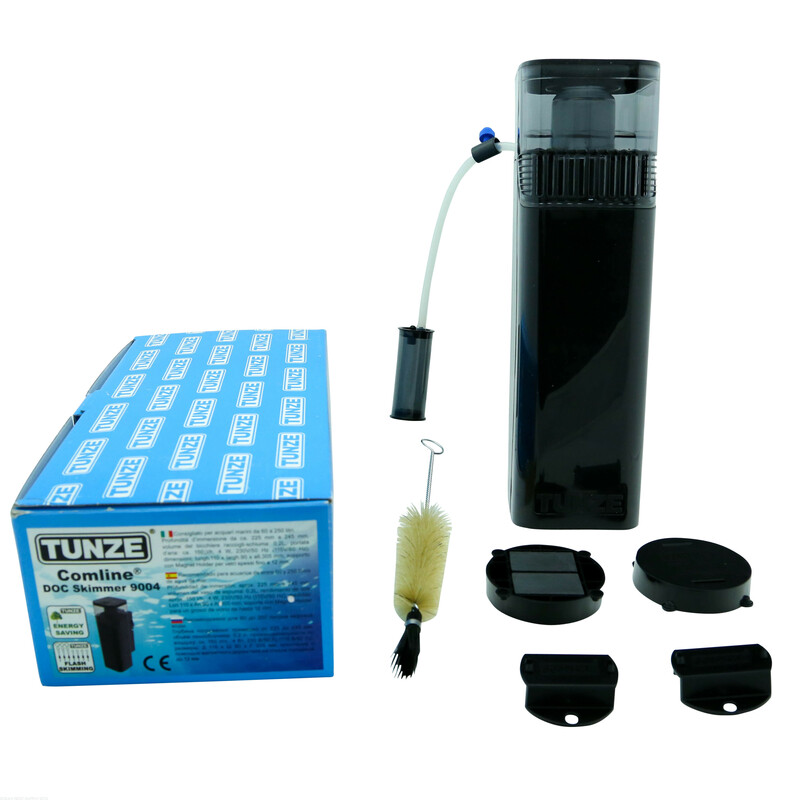 The Tunze skimmer actually mounts from the side and would not fit well by mounting it in the tank. Ideally the Midsize Ghost skimmer by IM is the ideal shape and size for your tank. Feel free to let us know if you have any further questions! 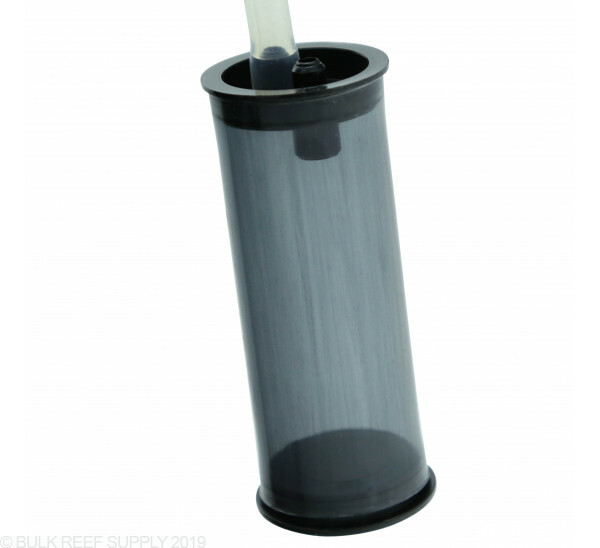 I didnt actually mean to buy this skimmer but if it works in my Coralife biocube 29 I will gladly use it. Any idea if it will fit in my biocube 29? Will this fit in the back of an innovative marine Nuevo fusion 25 lagoon? 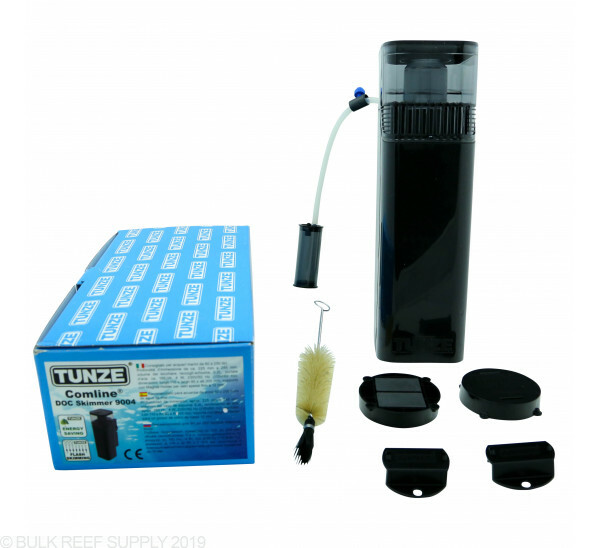 The Lagoon 25 has a width of 2.5" available in the rear filtration section, and unfortunately, the 9004 Tunze Skimmer is slightly too big to fit. 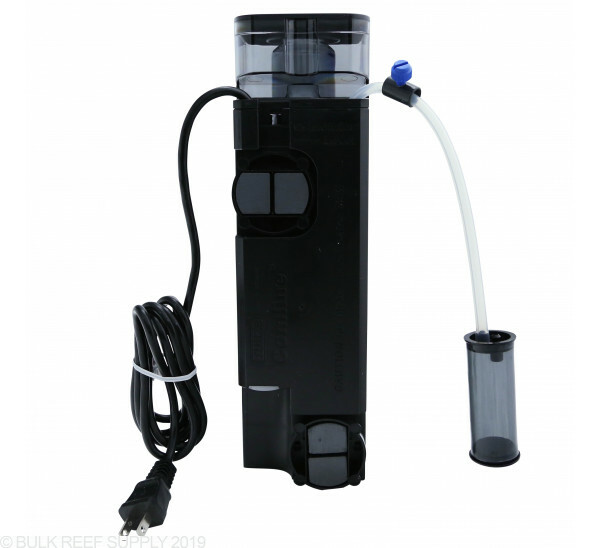 In most cases for tank under 30 gallons or so, we recommend just doing water changes since that can be more effective and efficient than a protein skimmer. Will this fit in in the back of a Nuvo 16? Unfortunately it would be too large to fit in the back of a Nuvo 16.